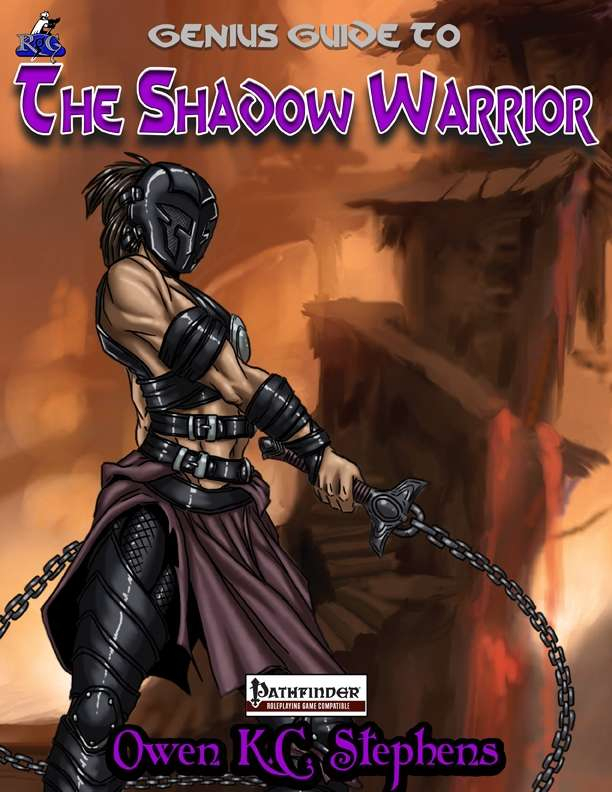 The shadow warrior is a new 20-level base class designed for use with the Pathfinder Roleplaying Game Core Rulebook (using some material from other hardback rules, especially the Pathfinder Roleplaying Game Advanced Player’s Guide). It is a combat-oriented class, with an emphasis on fighting effectively with exotic weapons and drawing on the powers of shadow and darkness. Is this the class from the Adventurer's Handbook? No, the Adventurer's Handbook has the shadow assassin, a 3/4 attack bonus character focused on stealth, shadows, focusing on a single foe, and attacking from & manipulating the darkness. The shadow warrior is a full attack bonus combatant focused on exotic weapons, attacking from the darkness, and manipulating shadows. They are complimentary but entirely different classes. Thank you for the information and reply.